Cleaning a coffee maker is fairly simple and straightforward. Even still it’s something that most people either never do properly or simply don’t do at all. I for one had a coffee pot out of college that I used for the better part of a decade and I can’t remember a time when I properly cleaned out the machine. These things are different. I care a bit more for my coffee machine and I care a lot more about really good coffee. Before we get started it’s worth reviewing a few simple questions first. Each has it’s own dedicated blog post on this site if you’d like a more in depth discussion on the topic. 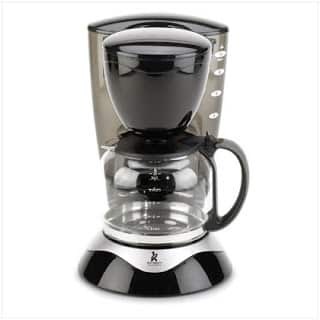 The best way to clean a coffee maker is to use a mixture of 1 part vinegar and 2 parts water. See this post for more detail. You should clean your coffee maker out once a month unless you only use it periodically. See this post for more detail on setting your cleaning schedule. There are alternatives to using white vinegar. You can use apple cider vinegar if you don’t mind the taste it leaves behind or you can use lemon juice. Do not however use baking soda – it can clog your coffee maker and ruin it if you are unlucky. The important thing to keep in mind is why cleaning it is so important. For one water slowly leaves mineral buildup in the lines, heating element, and pump. This slowly leads to poor water heating and slow brewing. Inadequate water heat will lower the flavor extraction during the brew leading to poor tasting coffee. The mineral deposits can also lead to poor taste if they build up enough. Similarly the coffee and grind itself will leave behind oils in the filter basket, pot, and even the water chamber (assuming you use the pot to fill the chamber). The oils and residue left behind will become old and rancid and buildup over time negatively affecting the flavor of your coffee. If you care about getting a good tasting cup then you really need to be cleaning your machine on a regular basis. Luckily it’s cheap and easy to do so with plain old inexpensive white vinegar. Here’s a video I made to help show you the process it’s short and too the point. Below the video I’ll point out in writing the important things to keep in mind. If you’re going to be cleaning out your machine with vinegar make sure you do it on a day where you can be around the pot for a good hour or so. Putting a vinegar water mixture through the brewing cycle may only take 10 min or so to complete but you will want to let the pot soak in it for a few minutes afterwards and then you’ll want to run another cycle or three of plain water to flush the vinegar from the mechanism. The vinegar smell is one of the main reasons why some people don’t want to clean their machines out. In some cases a trace of vinegar is left behind that muddles up the next couple pots of coffee. Simply being there to run a few plain water cycles after the cleaning can minimize or eliminate this issue altogether. After you finish cleaning your coffee maker you should try your best to not fill the water chamber from the coffee pot. If you can bring the faucet tot he water chamber or vise-versa or if you can use a water pitcher to fill the chamber you’ll need to do a full clean much less often. The reason for this is the coffee oils that transfer from the coffee pot to the water reservoir when you use the pot to fill the reservoir. If you can minimize the transfer of oils into the chamber then the buildup of residue will be slower and you will get less rancid coffee flavors leeching into your fresh brew. Also, if you happen to have a particularly dirty coffee maker then you may need to run two or three cycles with vinegar to completely clean the machine out. Some people find that pausing the brew cycle mid-way through also helps to breakup tough buildup that has accumulated inside water lines. It acts much like soaking does to loosen hardened grime. Remember to do this periodically – it will not only keep your coffee tasting better but will also lengthen the life of your coffee maker and it’s internal components. …and if you have a water filter inside your coffee maker don’t forget to switch it out or cleaning it on a timely basis too. Not all machines have these but they are often forgettable and easily replaceable. It will do little good to clean your coffee maker but continue using an old or dirty water filter – the water after all is one of the most important factors in getting a good cup of coffee.